It’s a beautiful sunny day and the breeze is gently cooling us as it sweeps across Lake Ontario and down the hill to meet us. Nervous racers are gathered at the base of the Fort Henry hill awaiting the final instructions before the first annual military Cannonball Rush 5K begins. 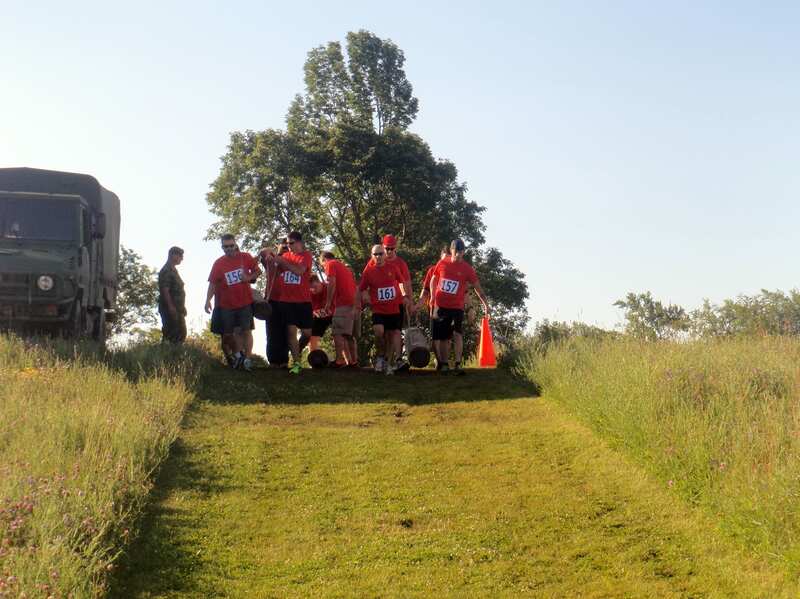 At the sound of the cannon blast 71 racers (11 teams) took off up the steep embankment and followed the well-marked trail. At the top of the hill the view was breathtaking and reminded racers how beautiful and historic the race site truly is. As racers progressed down the backside of the Fort the first obstacle awaits them with a 9’ wall, racers could choose one side –with foot pegs or the other –no pegs. This area caused a bit of a bottleneck so the seasoned racers performed burpees to pass the crowd and move into the lead – our team included. Teams then headed around the bend and up the hill and out into the fields where sandbag carries, log lifts and cargo crawls awaited them. A water station was located in between that you could access twice along the route and water was handed out at the finish line. Volunteers were available at each section to guide and motivate racers. Teams then headed back towards the main Fort and were provided with stunning views of the waterfront and downtown Kingston. Down a stone wall and along the outer perimeter we raced and then down a steep hill into the only water feature which was a swim around 2 submerged pillars and back to the rocky shoreline. This area was extremely slippery so you had to slow your pace to climb the shoreline. Lifeguards were on duty, and then you were directed back around the waterfront and up the hill again. 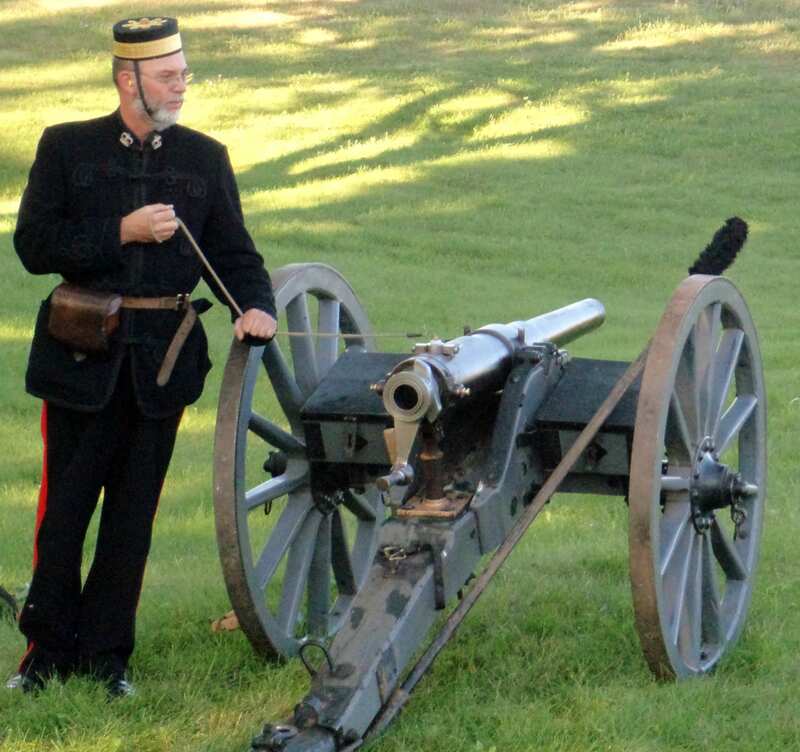 ½ way up, you climbed 2 sets of large hay bales and looped around and back into the main Fort gates. Once inside racers entered the pits and moats of the Fort where they circled the inside Fort towards the mud, tube crawls, wall descends (3 –levels) and roped-wall climbs where you then looped around and into the second set of larger wall climbs up and down, cannonball carry on steep inclines and a race back towards the finish line. The course was professionally timed with race bibs/chips and the top three finishers in age categories (M/F 35+ & 35- ) received medals. The top team won the ‘coveted’ trophy and a complimentary breakfast. The winning team went on to race the next day for the open public event (approx. 140 participants). Parking is free and registration is well organized. This will be an annual event and the course will be modified slightly each year to add new obstacles and modify directions of travel. Last year racing buffs were given and this year it was t-shirts and cow bells. 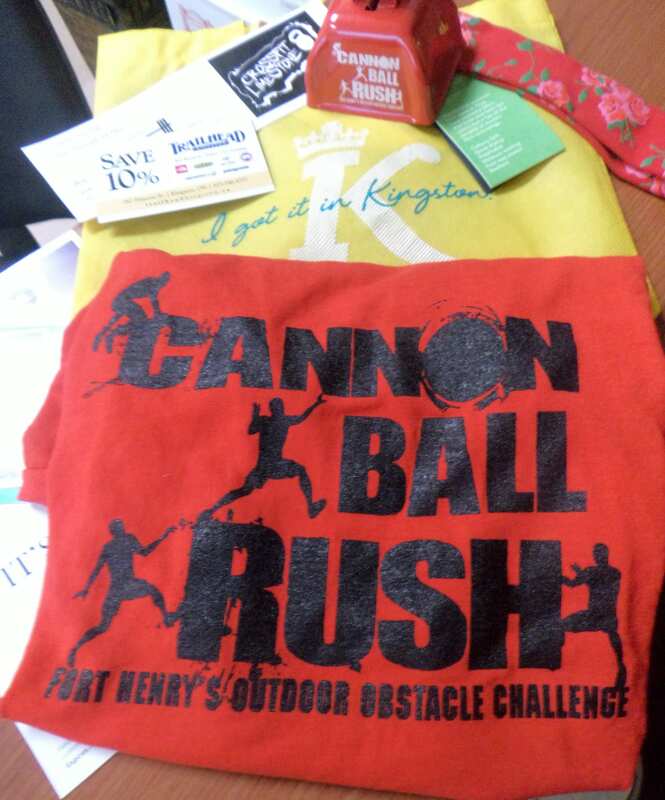 A special thanks to Race Coordinators Greg Guthro & Kim Baylis for allowing us to participate in this event and we look forward to ‘rushing the Fort’ in 2015! Ratings: Hills: 2/5 Obstacles: 2/5 SWAG: 4/5 Difficulty: 2/5…Good for runners who want a fast course. 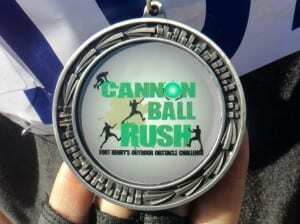 Did you do the Cannonball Rush? Share your own rating & review about the event today!